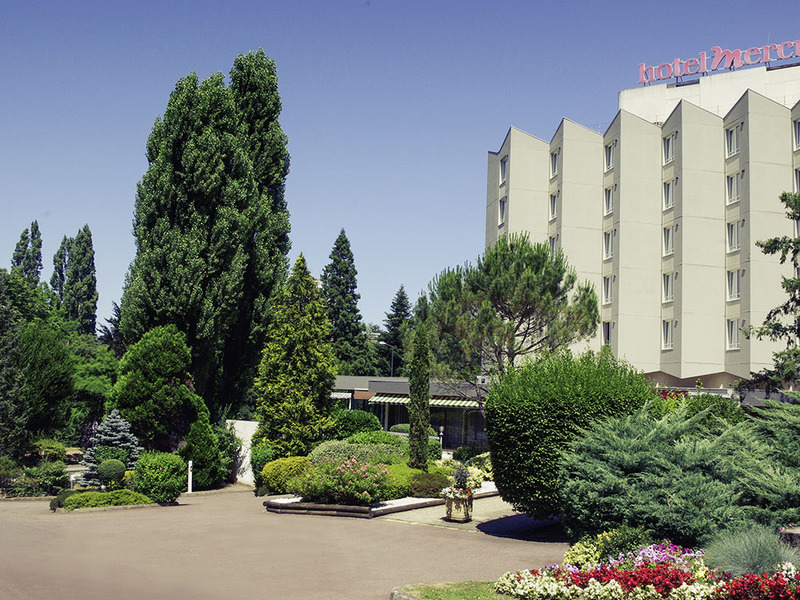 5 minutes from the town centre and the convention centre, the 4-star Mercure Saint Etienne Parc de L'Europe hotel provides you with direct access to the south from Saint Etienne by motorway and is ideally located 10 minutes from the station. To relax you will like the comfort of your hotel room and its view over the Parc de l'Europe. After a meeting or for the fun of a family holiday, discover the contemporary setting of the bar and enjoy the fine cuisine of our restaurant. Amidst the greenery of the Pilat Regional Mountain Area, 5 minutes from Saint Etienne, Mercure Saint Etienne Parc de l'Europe is ideal for exploring the city and its surroundings: the Geoffroy Guichard Stadium, the Cité du Design and Museum of Modern Art. Our rooms are modern, air-conditioned and have Wi-Fi. This is one of the best restaurants in the city. Not only does it feature in many gastronomic guides, but it has also been awarded a "Marianne" by the "Saveurs de France" association, chaired by Pierre Bonte, for its work in promoting local produce. Enjoy our cocktails and fine wines served by the glass in a cozy and intimate atmosphere.